mama of baby and lucy, wife of tim. Sometime last week, Eddy stopped saying yes to answer questions and has just started saying, "Cuhl. Cuhl cuhl cuhl." Austin is glowing this weekend. We got an all day, earth-soaking steady rain yesterday and I think everyone feels refreshed today. 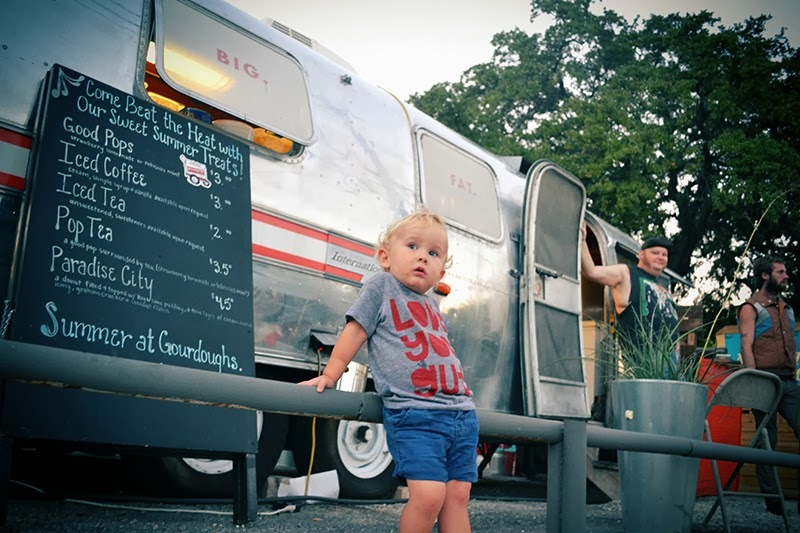 We rode our bikes to the train station in the neighborhood and took it downtown for dinner. And we didn't break a sweat. I know we'll have hot days here and there but fall is where it's at in Austin, Texas. I can't wait to edit the rest of the pictures from today. I caught up on the three weeks of photos I missed here. The thing I'm having the hardest time keeping up with is this blog which makes me so sad. I love this space and although I sometimes can't find the right words or snap the perfect moment, this space is the place I have kept track of my little family most consistently and when I do go back and look at old posts, I'm so thankful that moments are saved. My friend, Sara, told me the other day that she clicked back through my pictures of Eddy from the 52 series and couldn't believe how much he had changed week to week. 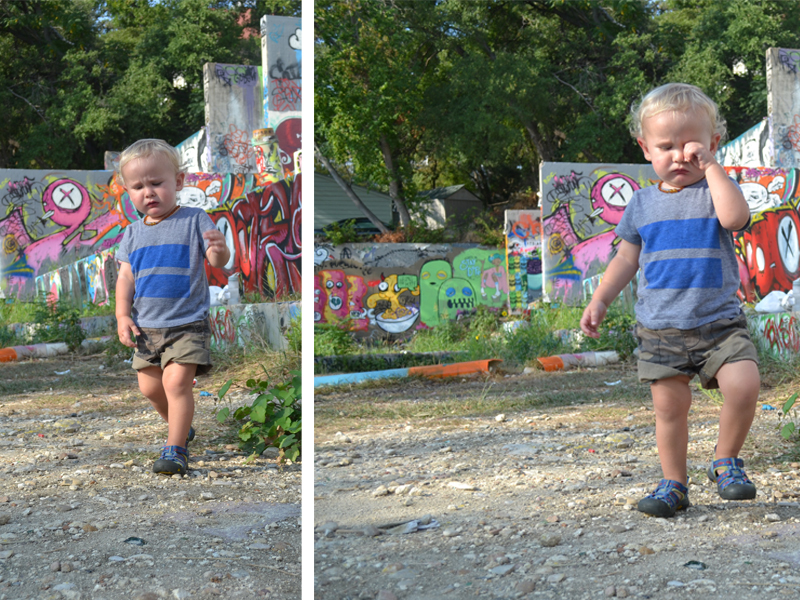 Not every picture is artful or beautifully edited but you can look back through them and figure out when he started walking, how tall he's gotten, how happy he is. Her comment gave me the kick I needed to go back through the camera and phone and catch up. And this week, I've made it a point to pick the big camera up again and try to capture this fleeting life a bit more clearly. Here are the ones I missed from the last month and my current one for this week is posted here. 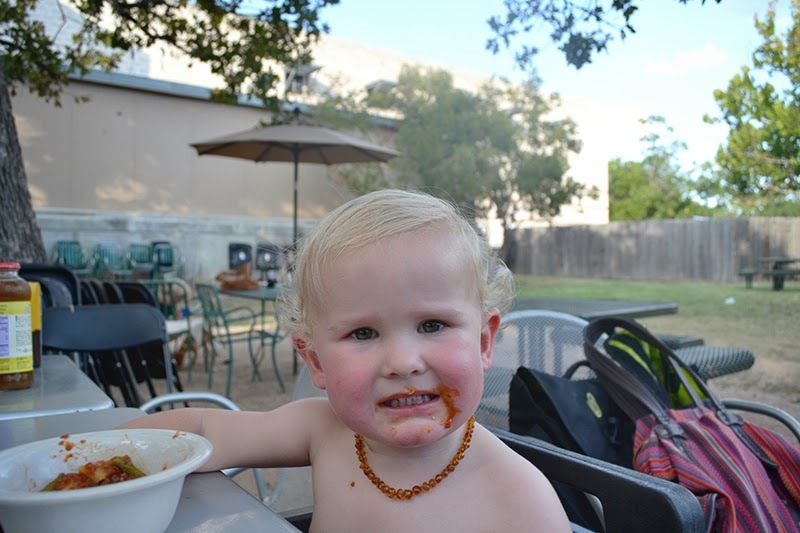 Dah-puh-dee face - dinner with friends and the boy enjoyed his favorite meal, spaghetti, shirtless and al fresco. I can't think of a better way. 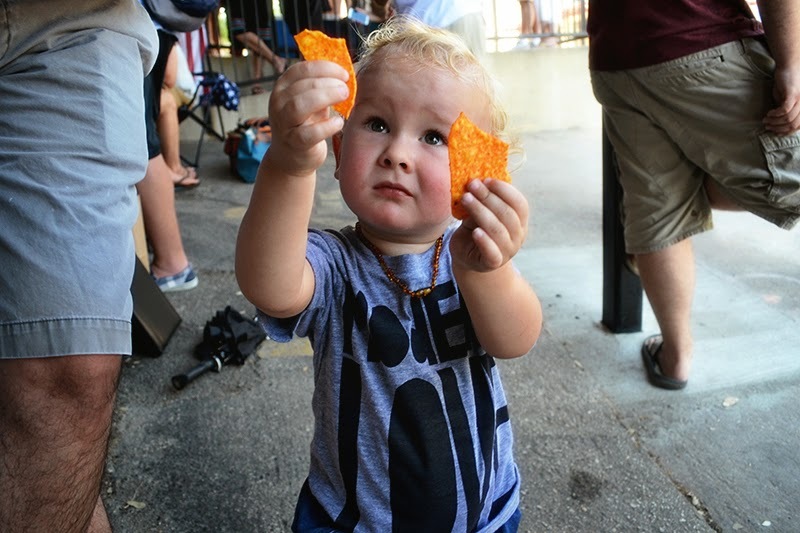 Dorito Thief - we caught up with Papa and Woody near the end of the wait for Franklin Barbecue and Eddy made fast friends with the guys with junky snacks. 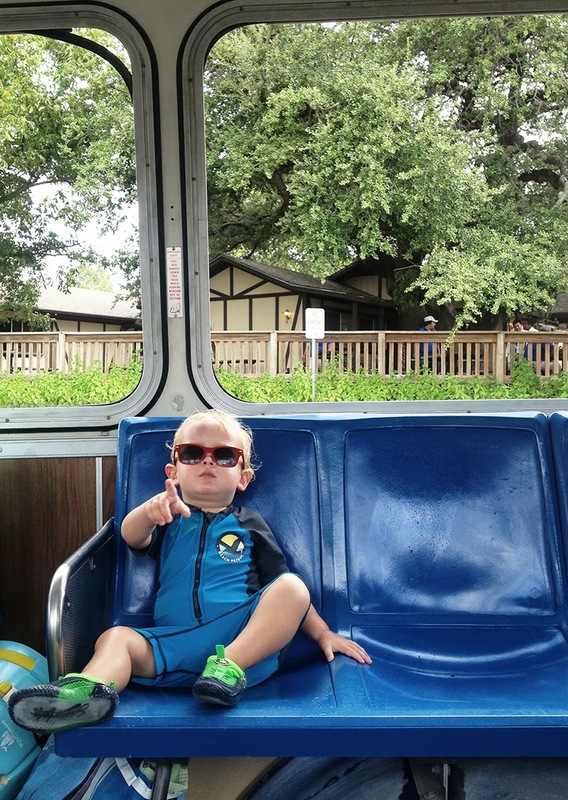 You Gotta Wear Shades - We've had the good fortune of going to Schlitterbahn three times this summer and the shuttle is by far Eddy's favorite ride. He cries, "Uck??" every time we get off. Also, always buy the cheap sunglasses. It's more than worth it. Thanks for the motivation to get back in gear, Sass. Love ya. Moments that you realize are good while you're in them. Moments that you are able to freeze and hang on to. I have a handful of these. Dinner at a sidewalk cafe on a cool night in San Francisco. We ordered one of everything on the menu. Eddy's first meal. Motherhood hit me full-force. Eddy and I ran out to pick up Chinese takeout on Saturday night while Tim stayed behind to cook pot-stickers. 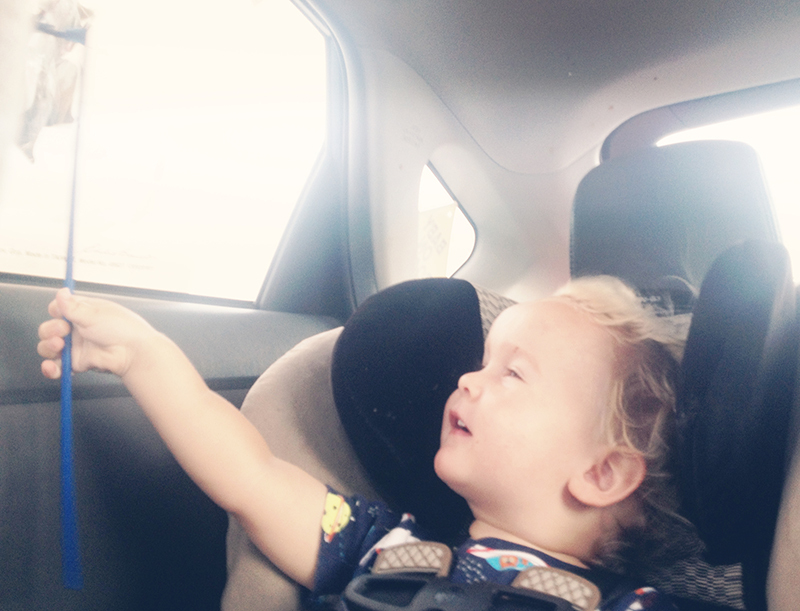 He walked out the door, as he often times does, with a pinwheel ("MA-NU-MAH!") in his hand. Despite our best wishes down here in Texas, we are still hanging on to bits of heat but a warm breeze and loud music practically begged for windows down in the car. Our favorite radio station played a rare version of Good Vibrations, Eddy's pinwheel caught a breeze, and a frozen moment was born. He squealed so loudly all the way (down the street) and couldn't believe how fast his favorite toy was spinning. I smiled so hard it hurt. And I got an encore on the way home. Hello Edward. Please excuse my icy tone. I'm feeling a little miffed. I stood in the pet food aisle of the grocery store for nearly 5 minutes the other day. Staring, mindlessly saying things to keep you distracted. I was paralyzed by words like grain-free and whole grain and scientifically formulated. Immediately prior to this temporary incapacity, we were on errand 3 of 5 for the afternoon. I have become an expert at timing and sequence when it comes to a chain of things to do but on this day, there was a kink in the chain. The kink, my boy, was you. Our first mission of the afternoon was to find you some new shoes. Overnight, your feet seem to have grown enough to make every pair painfully tight. And when baby needs new shoes, baby needs new shoes. Hoping for a deal, we hit Marshall's: The Land of Logo-emblazoned Crap and The Occasional Find. We struck out on shoes (I vetoed Tommy Hilfiger loafers and Cars velcro sneakers) but scored a Longhorns football jersey that you refused to take off even to let the cashier ring it up, making removing the security tag an extra special bonding experience for the two of you. If I'd been on alert, I would've smelled the signs of an impending meltdown by now but with my adorable errand buddy on my hip, I was blissfully unaware. Hoping for yet another deal, we went to a children's resale shop nearby. We waited for the diaper changing station for just enough time to let your cloth diaper liner fail and pee to leak through to my shirt. It doesn't matter what happened there next. My shirt smelled like pee and the shoes were all dumb. Ditching plans for a deal, we went to a legitimate shoe store. You instantly gravitated toward a pair of decent, rugged shoes. Great! Can we get these in a 6 and 7, please? The train completely derailed at this point. 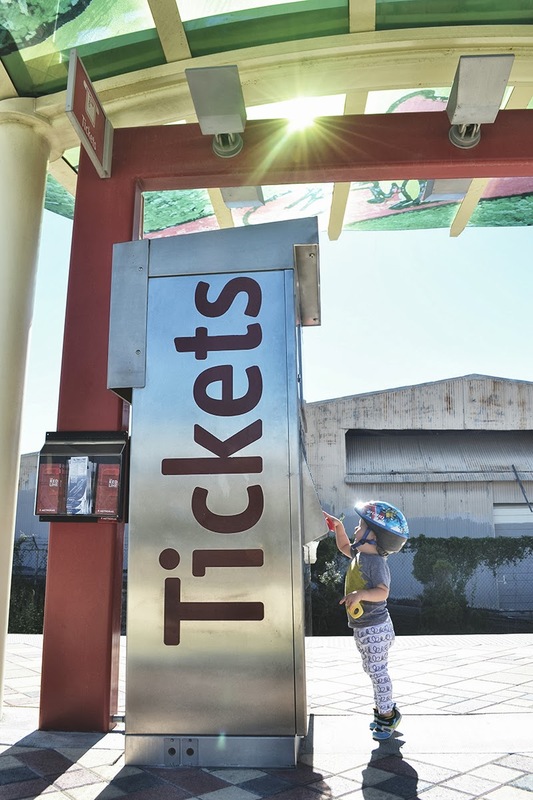 You wanted no part of actually putting shoes on your feet, just carrying them and begging for a gum ball, which by the way, you have no idea what a gum ball even is. I managed to shove one foot in enough to determine that it wasn't binding your toes, I may have thrown a credit card on the counter, and we stormed out, now with zero shoes on your feet. We had two errands left: the pet store for Lucy's food and a few groceries for dinner. We went to a grocery store across the street to keep things easy and, once we were there, I decided to just get Lucy a small bag of food there rather than heading to the specialty shop. The thought of another back-arching tantrum while my arms were full was more than I could handle. Oof. And just like that, I was wiped out. For the last month and a half or so, you've been testing your strength and power, trying to see what works. Your dad and I are trying really hard to let you express your anger while letting you know that it's not a good way to get what you want. When we are at home, the best - and easiest - thing to do is to set you down and walk away while you calm yourself down. This usually doesn't take long until you're ready to talk and be nice again. But in public, it's downright exhausting. It's hard to not just give you what you want to get you to stop. I know that you are nearing two (gasp!) and that this is all part of figuring out how and when to flex your independence. And I have to remind myself that you are usually so nice. On the plus side of all of this, these moments are becoming fewer and farther between. There was a stretch there for about a month when you would arch your back so hard when we held you that it truly scared us that we would drop you. And I get it. I get what your brain is doing. I understand your frustration and how it must feel to be on the edge of being a kid but still being basically a baby. I am also immeasurably grateful that you usually turn all of this off when I'm about to break and do something incredibly sweet, like ask for a hug. So, if you're reading this when you're older, know that if you see a mom with a kid in the grocery store and she is standing motionless, looking stunned, that she just needs a second. She probably just took her kid shoe shopping and will snap back to normal momentarily. I love you, little boy. Even when my job is a challenge. Especially when it's challenge.